In OS X, services let you access functionality in one app from within another app. An app that provides a service advertises the operations it can perform on a particular type of data. Services are triggered from the Application Name > Services menu, or from contextual menus that appear when you Control-click on text, files, and other kinds of data. When you’re manipulating a particular type of data, related services becomes available. For example, Mail provides a service that creates a new email from selected text. 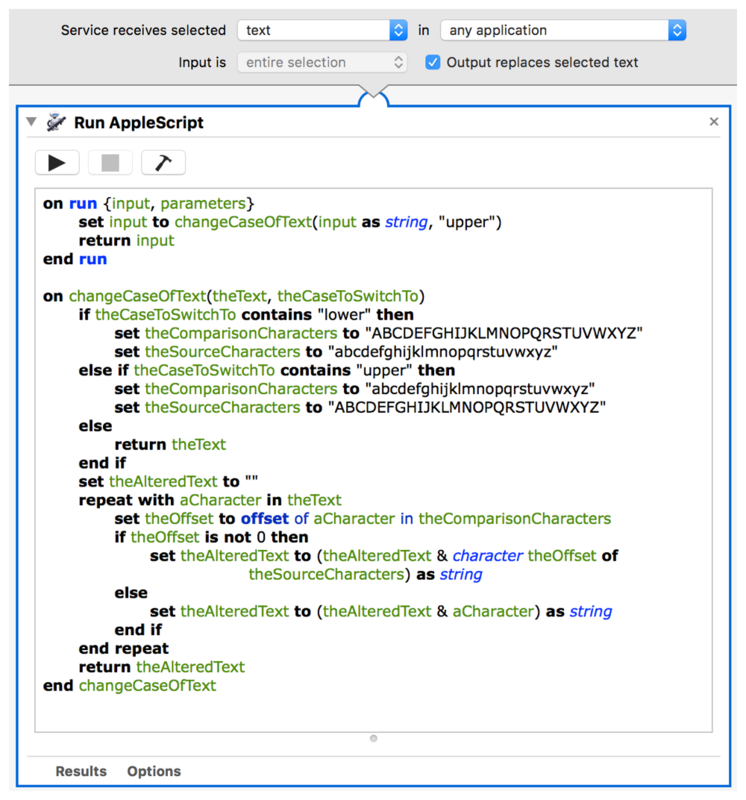 A script can be made available as a service by embedding it in an Automator service workflow. 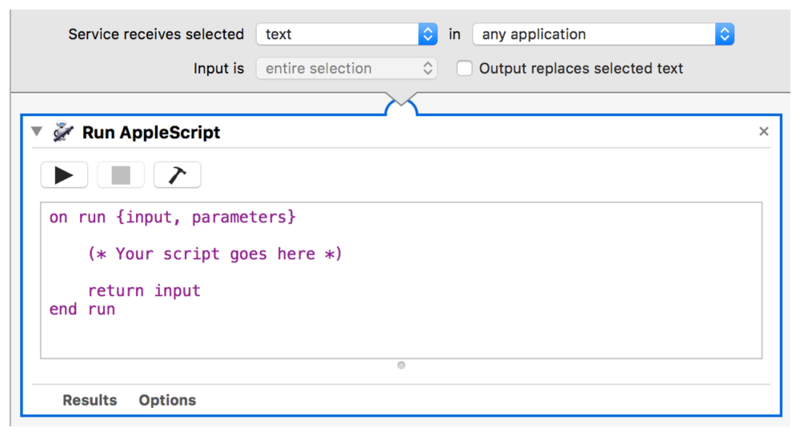 Launch Automator, found in /Applications/. Create a new Automator document. When prompted, choose a document type of Service and click Choose. At the top of the Automator document, configure the service. If the service will replace selected text with processed text, select the “Output replaces selected text” checkbox. Type run in the search field above the action library pane to filter the action library. An interface for the action appears. Write the script code and add it to the action. If the action contains additional configuration options, adjust them as needed. When prompted, enter a name for the service. 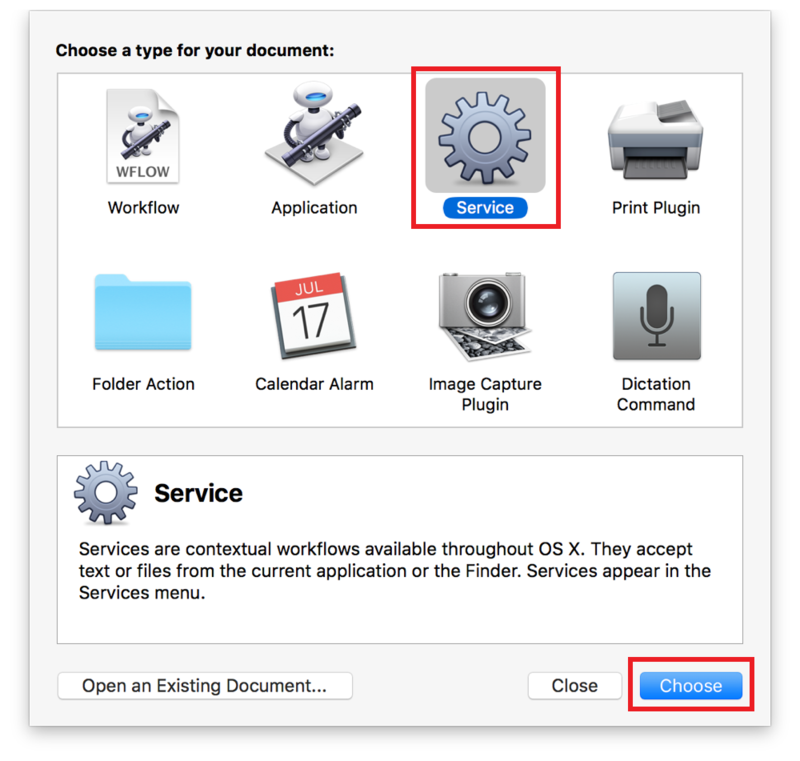 Saved Automator service workflows automatically appear in services menus throughout the system at the appropriate time. For example, text processing workflows become available when you select text in an app. To run a service, select Application Name > Services > Service Workflow Name from the menu bar, or select Services > Service Workflow Name from a contextual menu.